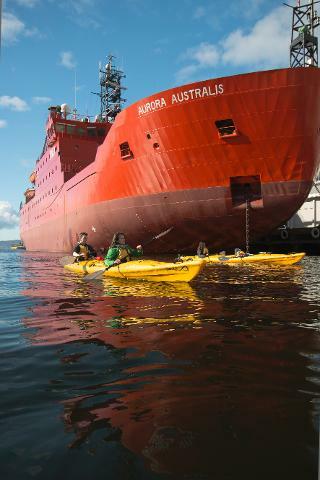 Hobart’s iconic waterfront … from a different perspective. 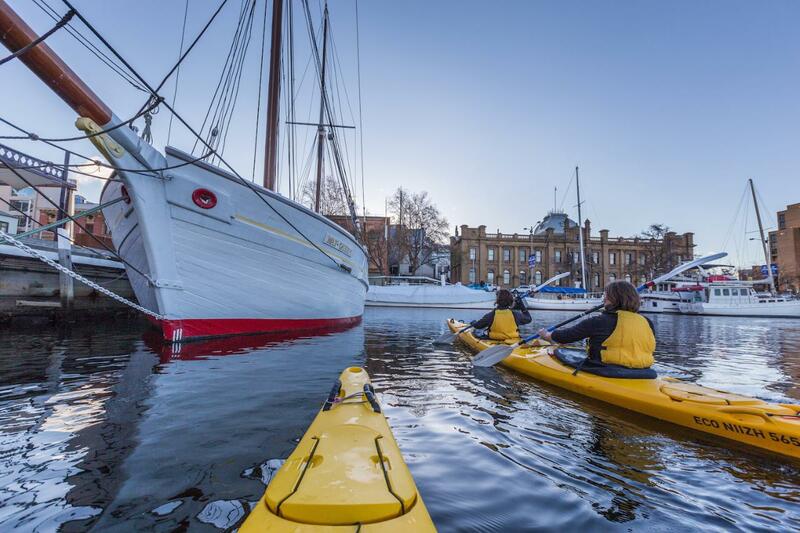 Nestled between river and mountain, Hobart has one of the most picturesque harbours in the world. 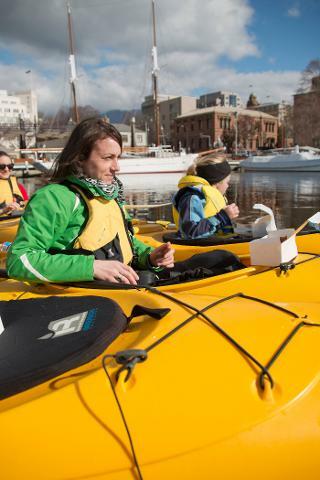 Join our 2.5-hour city paddle and we’ll take you behind the scenes of this vibrant, working waterfront to discover the true heart of Hobart. 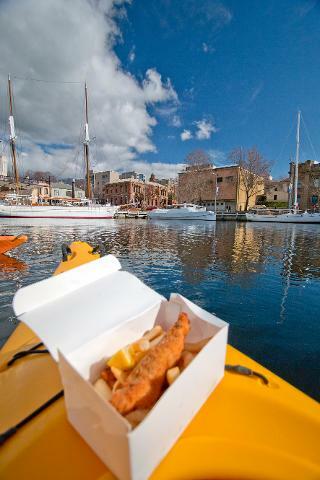 Your discovery of Hobart wouldn’t be complete without some locally caught fish and chips from the city’s famed floating fish punts. 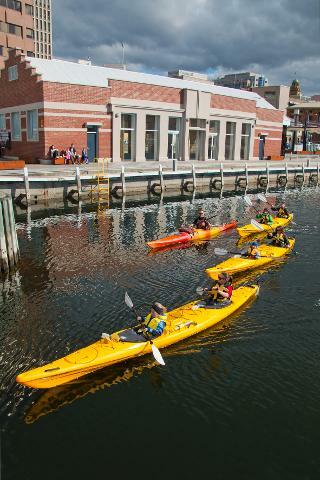 Enjoy them with the best view in town - straight from your kayak! No paddling experience is necessary and this paddle is suitable for younger paddlers who can team up with an adult or one of our guides. 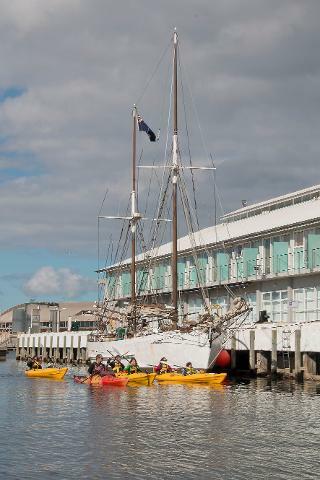 Departure and Finish Point: Marieville Esplanade, Sandy Bay (opposite 16 Marieville Esplanade on the beach near the rowing sheds). Bring: Hat, sunglasses, comfortable casual clothes and a bottle of water. 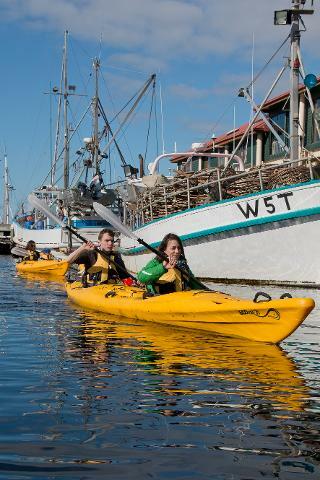 Includes: Our passionate and experienced local guides, stable double sea kayaks, all kayaking equipment, warm all-weather protection gear, fish and chips.